It’s been too long fellow hunters…. The team has been working on new projects and focused on launching them through different social networks. 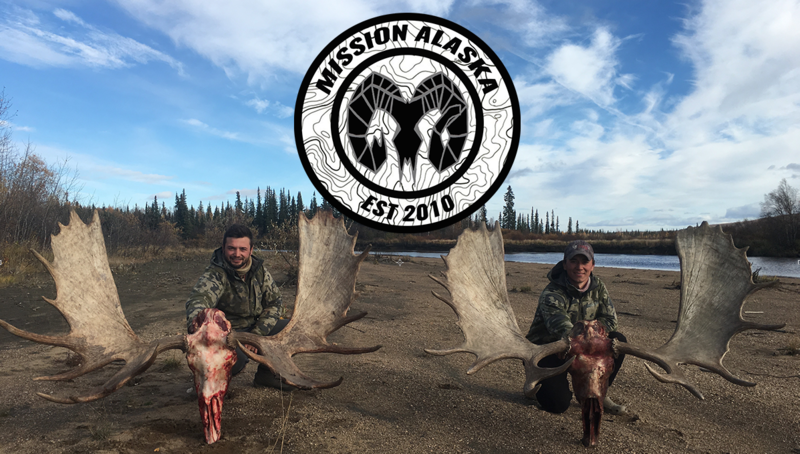 For the latest and greatest up to date content check out mission_alaska on Instagram where we have exclusive photos, videos, and stories of the Alaska Sportsman lifestyle. If your interested in short films check out our new videos through www.huntervids.com, they have a library full of hunting videos from across the country that will entertain any day dreaming outdoorsmen. Here is a link to one of our goat hunts on Hunter-Vids. For those of you heading North to Alaska, Cubby’s Market place is a must see destination. A truly authentic Alaskan grocery store located near the intersection of the Parks Highway and the Talkeetna Spur Road, they provide goods to locals who live here year round as well as the busy summer recreationists who come to play in the surrounding Talkeetna Mountains. This store was opened by entrepreneurial spirited family who roots were started from the Alaskan dream. Greg and Lisa Pearson (2nd generation Alaskans) started this business from the ground up with help from their children Derek, Chris, Ashlynn, and many other family members and dedicated friends. 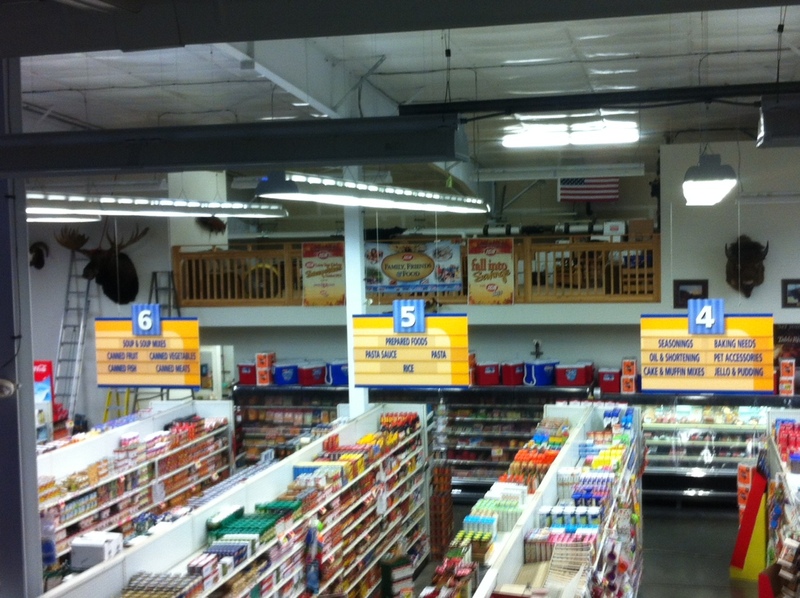 Cubby’s is more than a grocery store, it’s an experience. You enter through the doors into a modern-rustic Alaskan grocery store, where animal mounts and the AK lifestyle is displayed proudly. Being one of the Pearson’s “other children”, I am proud to say I helped out during the building process of Cubby’s. Greg has been filling his grocery store with impressive species of Alaskan game mounts since the store opened, and I am lucky enough to have several of my mounts inside. The entire store is covered in game mounts from animals harvested around the state, if you head to the dairy section you will notice a small section dedicated to the animals harvest by team Mission Alaska. 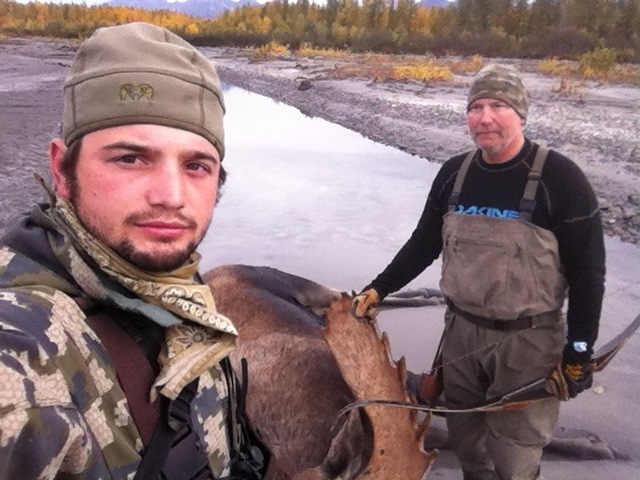 Here is owners and 3rd generation Alaskan’s Derek and Chris Pearson hanging the moose on Cubby’s Wall. 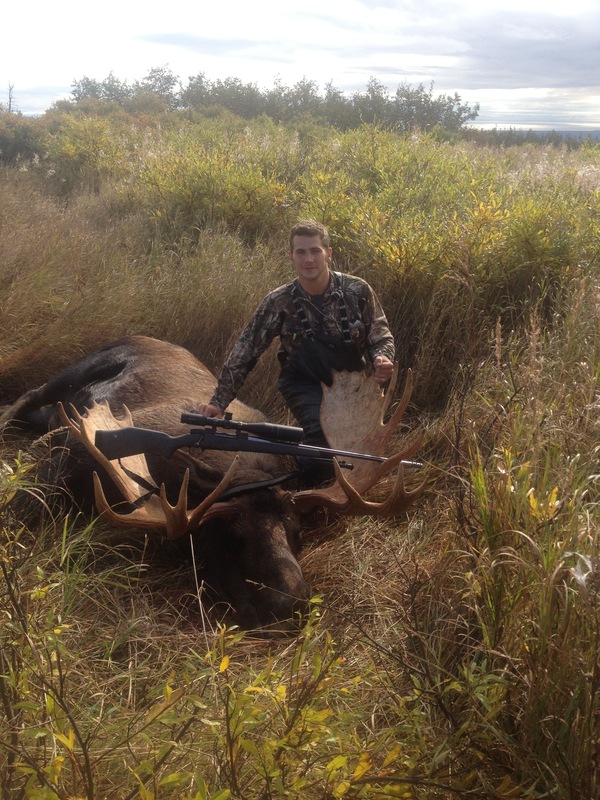 This moose was from Austin Manelick’s and Vince Pokryfki’s 2013 moose hunt. 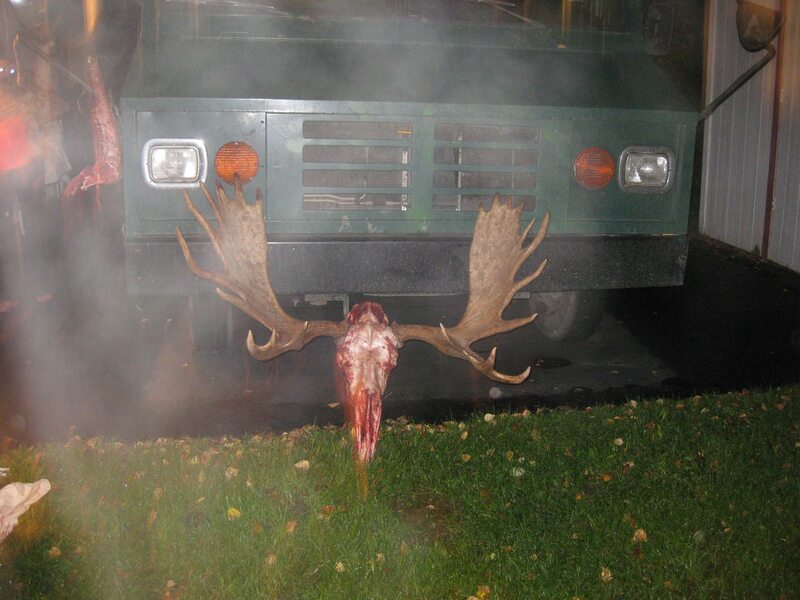 Pretty fascinating story of how this moose found his way onto the Cubby’s wall. Team work makes the dream work, and with this moose it was no different. From the river to the wall…. For any of you adventures north, make sure you stop in and see the beautiful Cubby’s Marketplace! This is what Mission Alaska is all about…. THE ADVENTURE! Created by Premier Frontier Productions this video footage was compiled from adventures across the entire state. For more information check out www.premierfrontierproductions.com. Ever dreamed of exploring this beautiful place? This video gives a great sense of the raw beauty and rugged terrain this state is known for. Special gear thanks to Pretty Fly for a White Guy, Barney’s Sports Chalet, Alpacka Raft, and Campbell Cameras. Becoming a Airborne Ranger in the United States Army is a very difficult task, Ranger School is an intense 61-day combat leadership course geared to train some of the most elite soldiers America has to offer. Having two brothers who have completed the program (Auggie M. and Dan S.), they have told me first hand just how difficult this accomplishment was. Another one of my hunting brothers named Bridger Van Ness fell off the grid about eight months ago and resurfaced a new man. Bridger Van Ness and I go way back, back to the days of high school and Varsity soccer at Colony High School. Bridger started as a freshman and was a talented athlete to say the least. We have been longtime friends and partners working on the Mission Alaska Project since 2011. I wanted to congratulate him on his Ranger School success and thank him and all of our troops for supporting and protecting our freedoms as United States citizens. A certifiable “bad boy” in the United States Army, Bridger completed his Ranger school recently and was featured in a story found at The Bayonet and Saber. Bridger has made headlines with this accomplishment as he has pioneered a new pilot program for entry into the prestigious Ranger School. Check out the story below to find out the scoop on Bridger and how his accomplishment has laid the foundation for an improved Ranger Program. Congratulations Bridger, I am very proud to know you and honored to call you friend, brother, and most importantly my hunting buddy. Can’t wait till our next Alaskan adventure! When Spc. Bridger Van Ness asked his mother to pin his Ranger tab during his graduation ceremony Friday, it signified the beginning of a new career and possibilities for future Infantry Soldiers to enter Ranger School through a new training initiative. Van Ness, of Wasilla, Alaska, was the first Soldier to go from one station unit training to Ranger School, a feat he said was a challenging and rewarding experience. Col. Bill Butler, deputy commandant for the U.S. Army Infantry School, said the Infantry School started an initiative to add more Rangers into the force, especially in brigade combat teams. The program will allow Van Ness and future Soldiers to select the duty stations of their choice throughout the Army wherever there is a brigade combat team, Butler said. Van Ness, 23, graduated from Norwich University in Northfield, Vt., in May 2013 with a bachelor’s degree in criminal justice. He joined the Army on Oct. 1 and completed one station unit training in January. During his training, Van Ness was approached to be a test subject for the pilot program. Van Ness said he was sent to pre-Ranger School after completing basic training, which helped him to make it through the Ranger School on the first try. Butler said the 198th Infantry Brigade will continue to identify individuals who exceed course standards and show maturity and the physical and intellectual capacities to complete Ranger School. Using Van Ness’ experience will also help to identify potential challenges Soldiers may face. Preparing for his next duty station in Italy, Van Ness said he hopes to advance his education and use his knowledge from Ranger School to train future Soldiers and help improve the program. 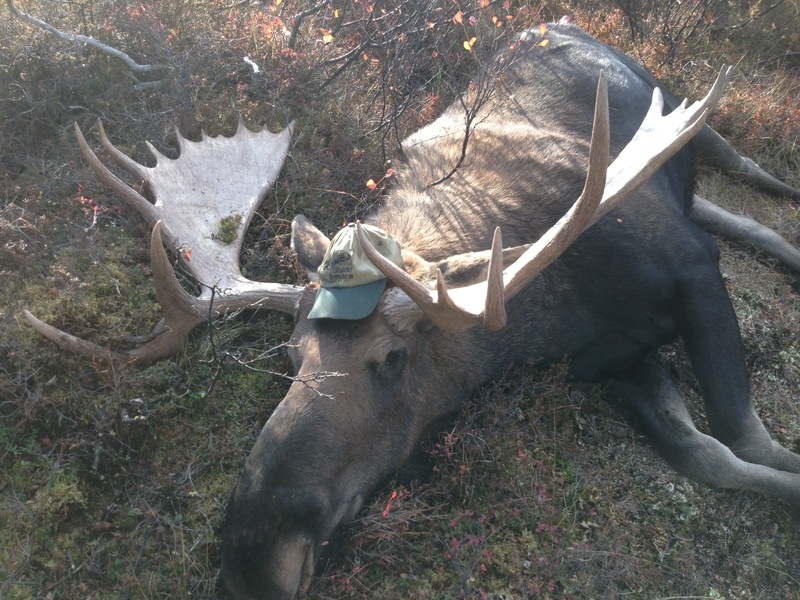 Year of the moose… It seems like this year bull moose were abundant in many parts of the state. Sorry it has taken so long to make a new post, however team Mission Alaska has been out making new content for our readers to enjoy. The Mission Alaska adventure was, again, one for the ages. Here are a few pictures to tide you over until the stories accompanying these pictures are tapped out and made whole. 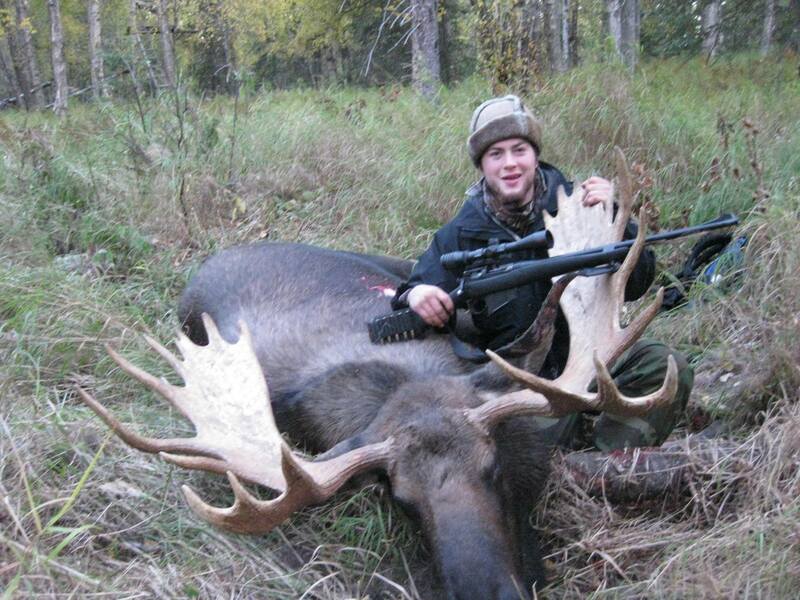 Here are a few of the brutes that fell to the Mission Alaska team this year. Be prepared for a few of the stories, lots of work indeed. Cheers to the beautiful bull moose who roam these lands year round. We as hunters thank you.